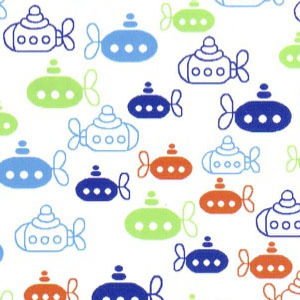 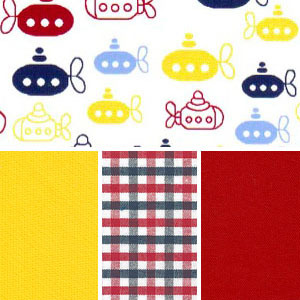 Submarine Fabric: Super Cute New Designs! 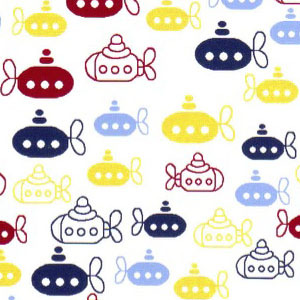 Checkout our newest submarine fabric offering: super cute colors available. 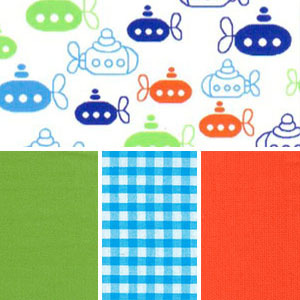 The bottom two pictures are from our “Top Collections” page, where you can buy these fabrics with some of their best coordinates.